For years, parents have been taught to swaddle their infants, to bundle them up like a “bug in a rug.” Picture a baby burrito. Products abound to assist new parents in this task, including Velcro® swaddlers and blankets with an X marking the spot to place the infant’s head. However, recent concerns have arisen surrounding swaddling and its impact on early feeding, motor development, respiratory health, and safety. Some of these concerns have lead to regulations restricting swaddling in childcare centers. Swaddling has been used for centuries to soothe crying infants. It was used almost universally around the world prior to the eighteenth century. Swaddling involves using a blanket or cloth to tightly wrap the infant in a cocoon with his or her arms close to the chest or sides. Studies have shown that infants who are swaddled arouse less and sleep longer. It has also been shown to soothe pain in infants. Several years ago, I attended the ILCA (International Lactation Consultant Association) conference in San Diego with close to a thousand other lactation consultants from twenty-five countries. I was surprised to find swaddling a hot topic of conversation. The concern about swaddling from a lactation standpoint is that in the early newborn period, it can interfere with breastfeeding. In the first few hours and days, newborns that are swaddled feed later and less effectively than newborns that are placed skin to skin with their mother. Infants who arouse less and sleep longer may not feed as often as they should. This can have a big impact on the mother’s milk supply and baby’s weight gain. Skin-to-skin contact influences growth for baby and milk production for the mother, and swaddling limits the time spent skin to skin. In addition, a systematic review of studies on swaddling in Pediatrics 2007 reported that developmental dysplasia of the hips (DDH) – a hip deformity affecting one in 1,000 infants – may be increased through swaddling. This is particularly the case when the infant’s legs are extended and the swaddling is tight. To minimize the risk of DDH, the American Academy of Pediatrics section on orthopedics recommends “hip-healthy swaddling” that allows the infant’s hips to bend out and up. Your pediatric health care provider can let you know if your infant is at an increased risk for DDH and if you should avoid swaddling altogether. Like all things, swaddling can be done to extremes. Studies have shown that the tightness of swaddling may increase the risk of respiratory infections as the lungs are not able to completely expand. These studies have been small in size though, and more research is needed. Swaddling with too many layers in rare cases has lead to hyperthermia. Infants that are swaddled every night for too long may have a harder time learning self-soothing techniques that lead to healthy sleep habits. states that “if babies are swaddled, they should be placed on their backs and monitored so they don’t accidentally roll over.” Dr. Moon recommends that infants be weaned from swaddling at two months of age as they begin to learn to roll over. Concerns have led several states and Canada to pass laws banning swaddling in childcare centers and health facilities. While currently, I am not aware of any such laws in Virginia, many childcare centers may follow the guidelines in Caring for Our Children National Health and Safety Performance Standards published by the AAP, National Resource Center for Health and Safety in Child Care and Early Education, and the American Public Health Association. These guidelines do not recommend a ban, but do say that swaddling in childcare centers is not necessary or recommended. In childcare centers, there may be a number of providers with varied techniques of swaddling. Infants who have not been swaddled at home and are swaddled for the first time in childcare may have a harder time waking up and be at an increased risk for SIDS. The AAP recommends waiting until three months of age before starting childcare in a center, and by that age infants should no longer be swaddled. While there are concerns about swaddling, particularly its overuse, it would be a shame to abandon this practice altogether. It can be an extremely effective method to calm a crying infant. Harvey Karp, author of The Happiest Baby on the Block, reports that infant crying and parental exhaustion are significant causes of postpartum depression and child abuse. If your infant is not hungry or ill and is going through a fussy phase, swaddling along with some of Karp’s other strategies can be effective in calming your baby. Thus the answer to the question to swaddle or not to swaddle, as in all things, may just be to do so in moderation. 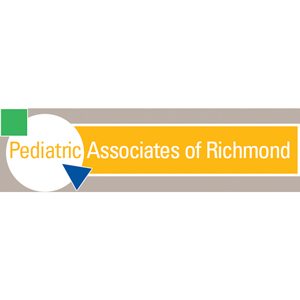 Laura Duke, CPNP, is a pediatric nurse practitioner and lactation consultant at Pediatric Associates of Richmond, Inc. She is the mother of three girls.